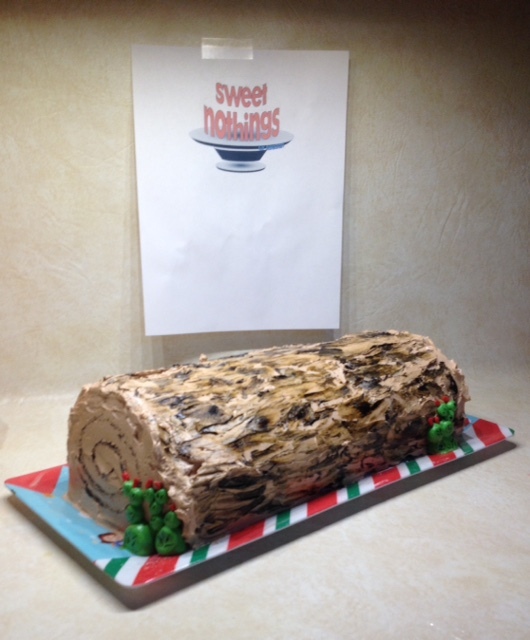 This Texas-style Buche de Noel is adorned with hand-painted bark and prickly pear instead of mushrooms and snow. This decadent chocolate cake is filled with vanilla Swiss meringue buttercream and topped with a chocolate version of the same frosting. 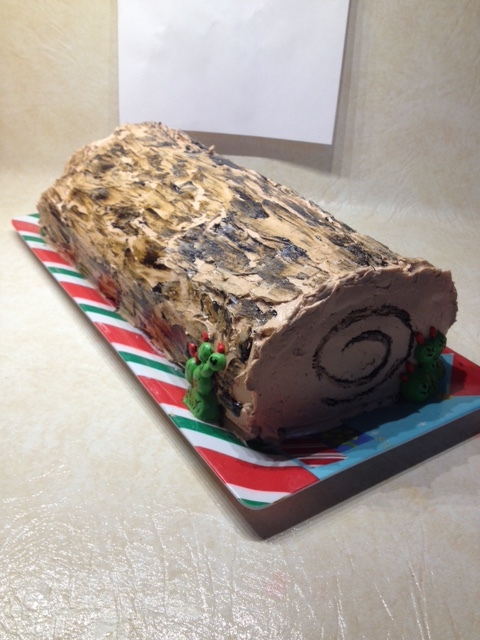 The frosting was applied to resemble the craggy bark of an old Mesquite log. Food coloring was then painted on to add depth and dimension. Royal Icing prickly pear were piped on to complete the look. 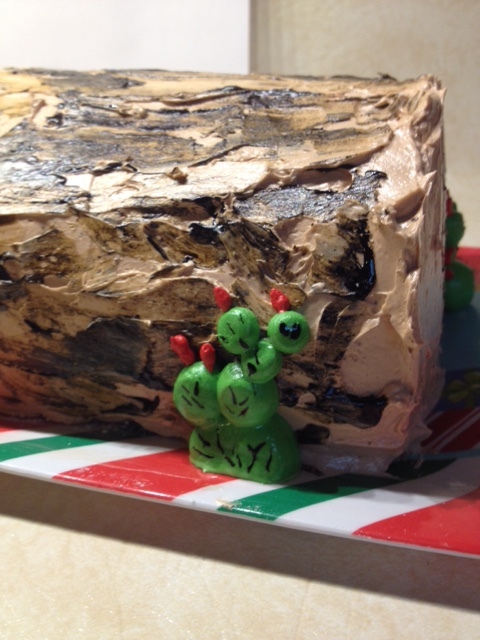 Posted in UncategorizedTagged birthday, boy, buttercream, christmasBookmark the permalink.